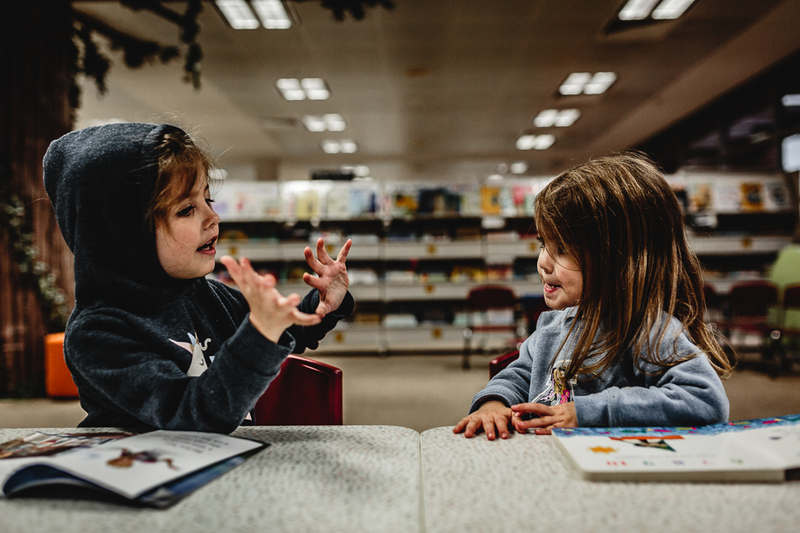 We've been spending quite a bit of time at the library lately, the girls have been thrilled to be able to borrow so many new books every couple of weeks, and it's become a bit of a highlight for both them and me. It thrills me to see them love books and reading so much and I am so happy to be raising two little bookworms. I've written a lot on this blog about the books I like to read, and have read, but I've never really shared any of the kids books that the girls and I have enjoyed over the years. Well, this post is going to change that! 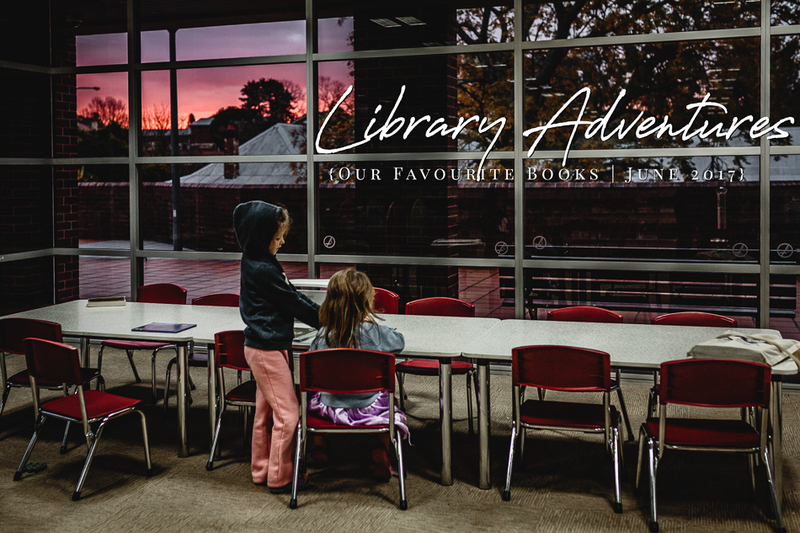 I'll probably make this a semi-regular thing, and share the books that we have not only been borrowing from the library, but also books that have become treasured favourites in our own home library. 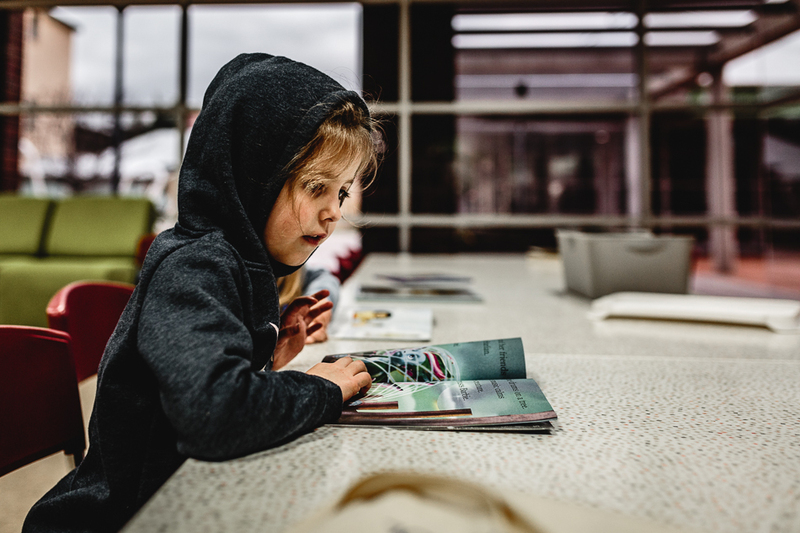 Having worked in the publishing & bookselling industry long before we even thought about having kids, I've spent quite a lot of time in the kid's section, and I've had some of these favourites for a long time. From the first week I started working at Angus & Robertson I started stockpiling children's books, knowing that one day I would have children of my own to share them with, and hoping that they would get as much joy from the wonderful world of books as I do. This was one of the first books we borrowed from the local library and it's been a firm favourite ever since. In fact, it's getting to the point where I am going to have to buy a copy, because Punky insists on re-borrowing it every time we go to return, she loves it that much. 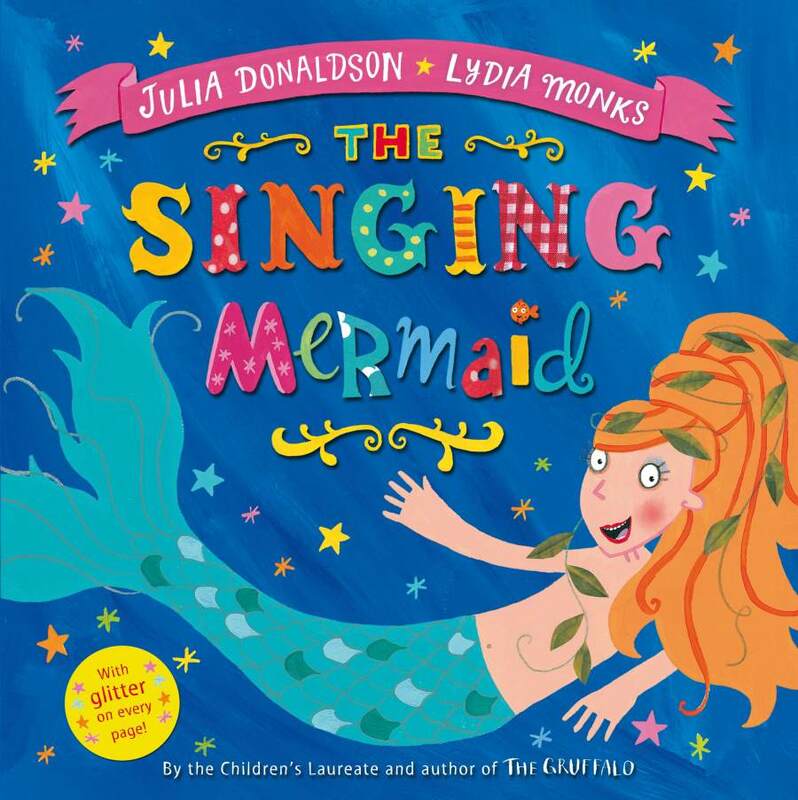 Julia Donaldson is one of my favourite kid's book authors, she has such a lovely way of building her stories through rhyme, and the illustrations are always gorgeous. 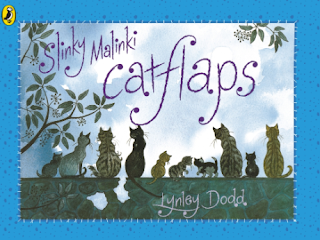 If you've never read a Lynley Dodd book then you need to drop everything you're doing and get yourself one right now! 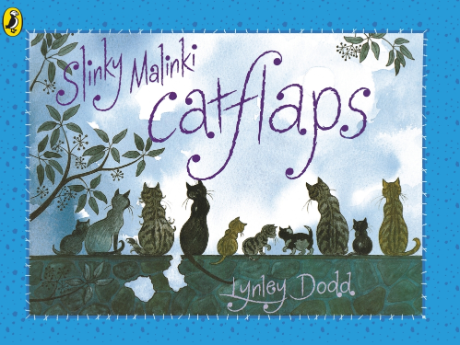 Lynley Dodd is the brilliant author behind the popular Hairy Maclary series of books and they have been at the top of our reading list since Punky was a baby. The rhymes are so perfect, I never get sick of reading any of Dodd's books from the Hairy Maclary universe, and believe me, I have read them over and over. They never get old. They are quite possibly my all-time favourite kids books, and the ones that features Scarface Claw are a particular favourite with the girls. 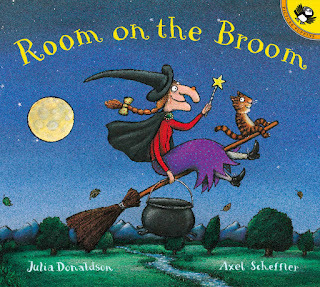 We came late to the Room on the Broom party but now that we have arrived this book features at least once a week in our reading repertoire. 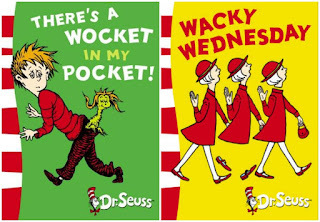 There's a Wocket in my Pocket - In this silly classic by Dr. Seuss, a young boy goes exploring in his house and finds an array of fun characters! Are you certain there’s a Jertain in the curtain? Or have you ever had a feeling there’s a Geeling on the ceiling? 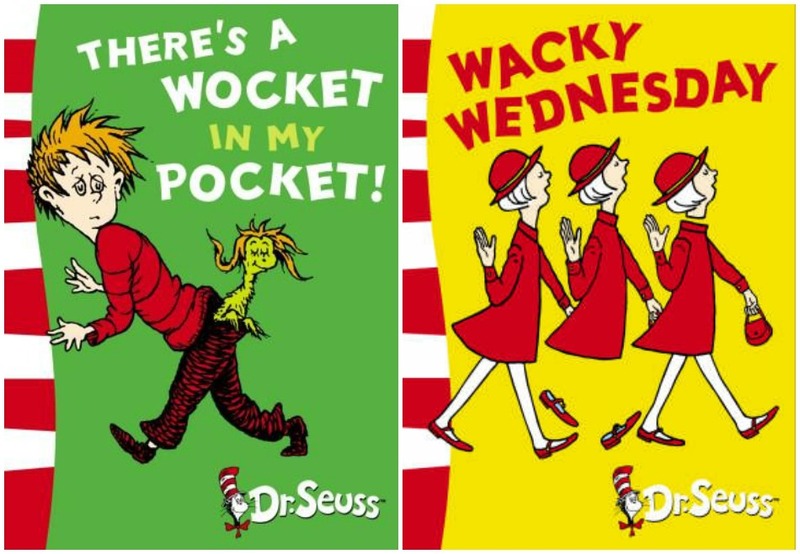 From the pesky Nooth Grush on a tooth brush to a sleepy Zelf up on the shelf, There’s a Wocket in My Pocket will have young readers eager to explore their homes and the wonders of rhyming and wordplay. Wacky Wednesday - Read and count along with Dr. Seuss and George Booth’s classic book full of errors. This is no ordinary day! There’s a shoe on the ceiling and bananas in the apple tree, and it only gets wackier. From a hole in the kitchen table to a green sun in the sky, young readers will love finding each silly mistake. Illustrated by renowned New Yorker cartoonist George Booth, Wacky Wednesday is impossible to forget. You'd have to be a total philistine to have not heard of Dr. Seuss books, and while just about everyone is familiar with the classic Cat in the Hat and Green Eggs & Ham, these two Seuss books are just as good, if not better. There's a Wocket in my Pocket has some great wordplay and rhyming, and it's really good for introducing the concept of rhyming to young kids. Wacky Wednesday is a favourite because there are wacky things to find on each page, and the girls love making sure they spot every one. If your kids are in to Seuss then you definitely need to add these to your collection or borrow them from the library. 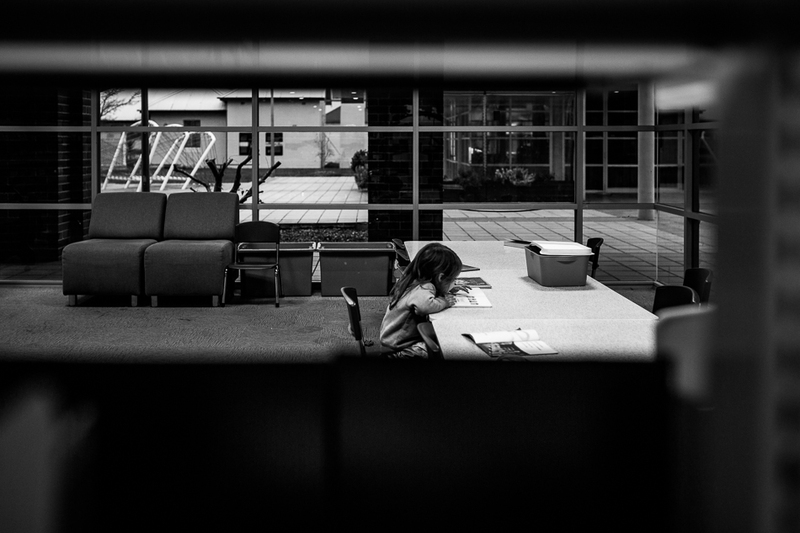 Do you visit the library much? What's the favourite bedtime story in your house right now?